← Signed up for my first event in almost 2 years. 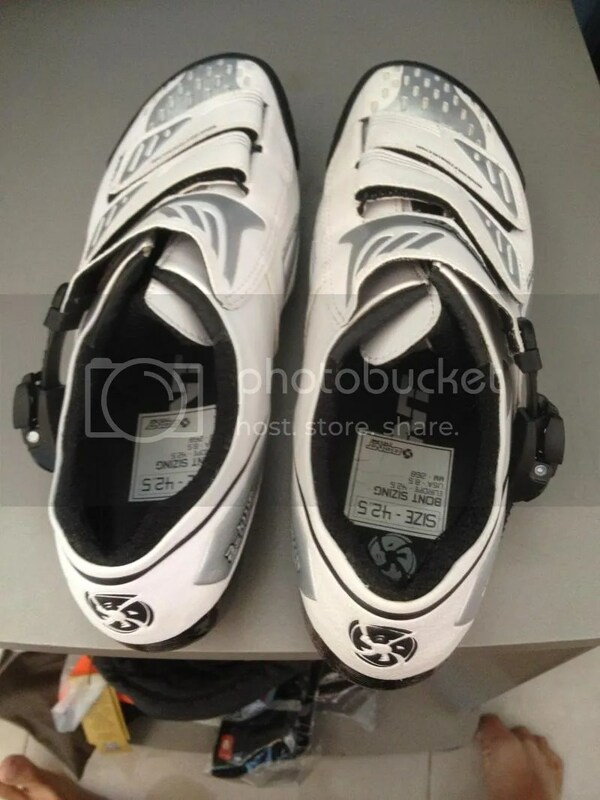 I was in love with my old Louis Garneau Futura XR shoes because it was cheap, comfortable and just simply great to wear. Unfortunately, It couldn’t last long as the non-replaceable rubber stops on the heel and the toes couldn’t be replaced and wore out slowly and eventually, what remained was the sole of the shoes which was scratched by the floor. I delayed finding a new shoe as shoes on clearance sale was either too expensive or didn’t interest me (though I was really tempted to snap Brand RXXX brand shoes. but after contemplating I did not get it) All that changed when I went over to Stockholm (Bianchi Cafe) and chanced upon Bont cycling shoes on clearance (with my size! ) and purchased it. 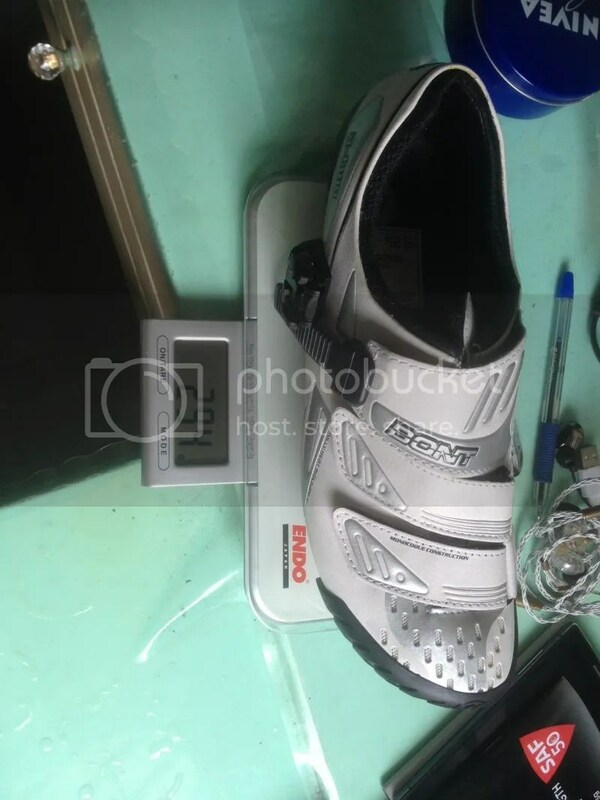 Bont is an Australian company that does cycling shoes and skates. Their shoes are worn by some by the pro peleton (De-badged or resprayed with sponsor logos) The Bont A series (A two and A three) are considered entry level in Bont’s range of shoes. 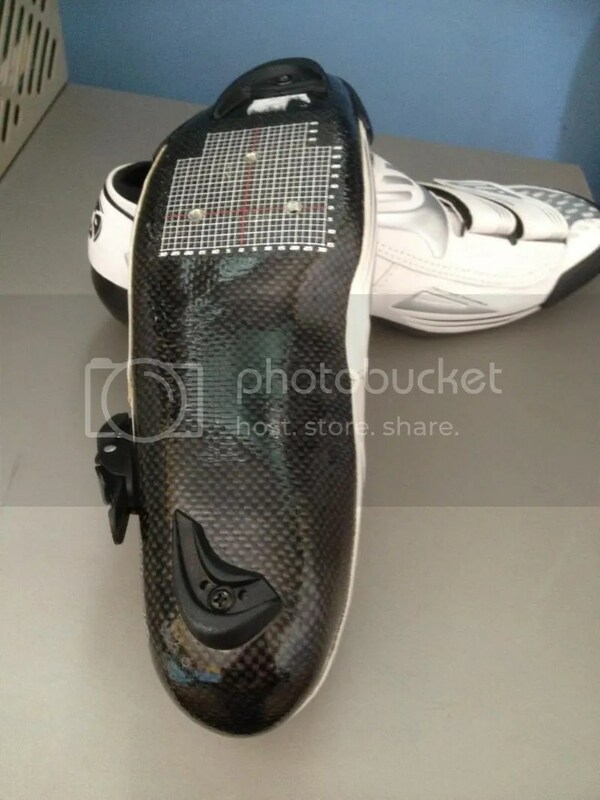 They are already discontinued according to Bont website but are still available at online shops worldwide. In my opinion, there is nothing in this entry level shoes that is entry level at all. Look at the features it offers, does any of this says entry level to you ? Yes, you read that right, this shoes are completely heat-mouldable and what this means is that by warming up the shoes and “cooking” it, it is able to mould onto the shape of your feet! (more on that later) Where else do you find such a feature on an entry level shoe though the price of this shoes are not entry level at all. The first thing that struck me was how thin the sole was. and yet how stiff the shoes were. I couldn’t get it to flex using my hands. The shoes in general, felt very roomy particularly the front of the shoe where my toes could rest comfortably without being felt like it was being squeezed. The buckle was also something unique that I saw, it utilises separate left/right ratchets to hold the strap down, this gives the shoes easy fine-tuning while riding as you can simply pull up the buckle to tighten the shoe then press on the ratchet to release the strap one click at a time. 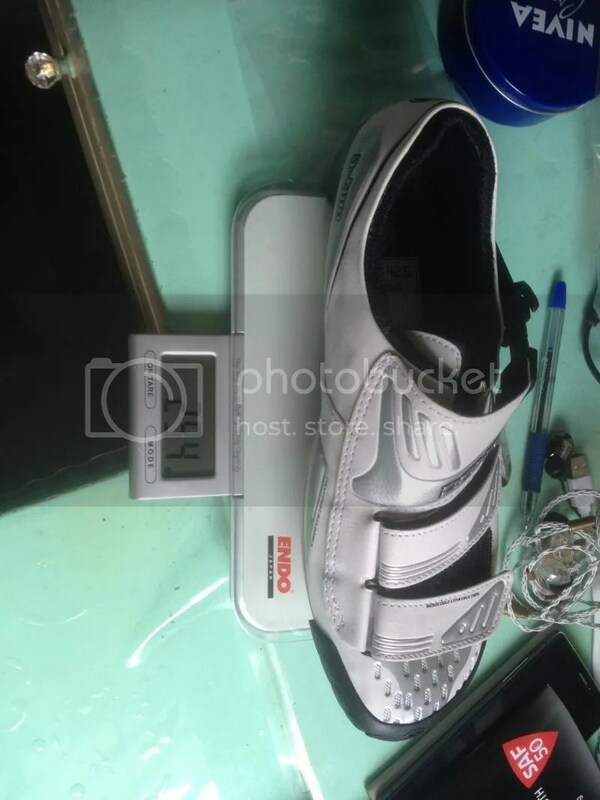 Shoe’s weight is 294gram with black look keo cleats. The shoes which I bought were size EU 42.5, which was half a size bigger than my usual shoe size. My first ride on the shoes was super uncomfortable, mainly due to the thin inner soles, the stock setup. I am flat footed plus a navicular bone on my left foot which juts out. Hard carbon and hard bone with soft skin in between is not a good match and after a short and furious one hour training ride, my skin around the bone had turned red and my bone was hurting to the extend that it was affecting my walking. Luckily the pain subsided the next day. Stock custom shoes plus flat feet, not really a good choice for me. Finding a oven big enough to fit the shoes and one that goes to 70 degrees Celsius was a PITA, the ovens at home were either too small or had too high temperatures. 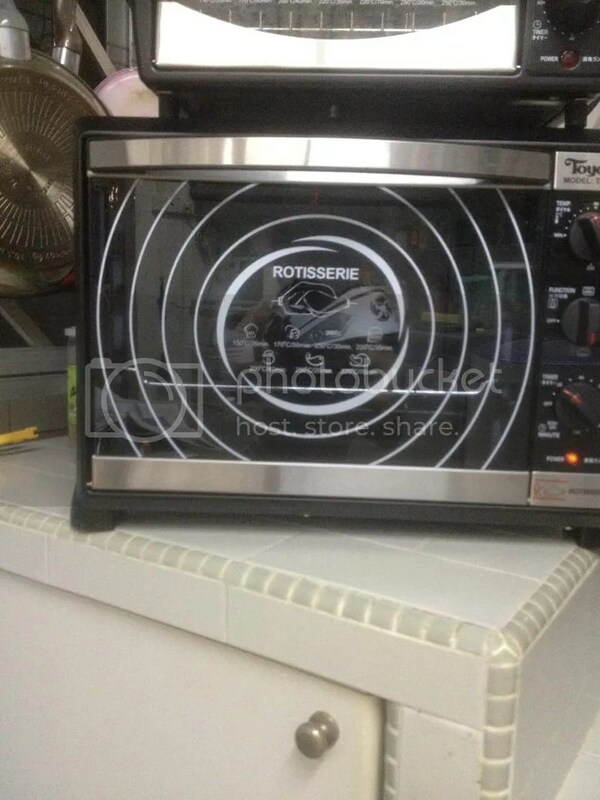 Eventually I had to purchase a new oven and even so there were complications, I didn’t trust the temperature gauge on the oven, and was afraid of melting the shoes. I had to rely on an infra-red temperature scanner and visual/ audio cues . Should have bought a thermometer for the oven but didn’t manage to find it. The shoes definitely felt better after moulding, more comfortable and the pain on my navicular bone is gone. The shoes are surprisingly comfortable despite the thin insoles and the super thin sole. The shoes were super stiff, i think it is the stiffest shoe that I have ever ridden. The front part of the shoe had lots of room for my toes but it felt fine on my rides which are relatively short. Since I have not yet done any long rides yet, I cant say if its comfortable or too stiff over many hours. While the Bont has become my permanent shoes, it still loses out in comfort to my 3 year old LG shoes. New products take time to get used to and with time, I hope the shoes will become better. Coming over from a plush, cushy shoe to a minimalist shoe that is designed for racing takes some time getting used to. Still, I am still impressed with the technology that Bont has implanted into this simple accessory to make it into a modern, stiff and relatively comfortable shoe. Disclaimer: This post is not sponsored or paid by Bont or Bianchi Cafe. The shoes were paid for by the author. 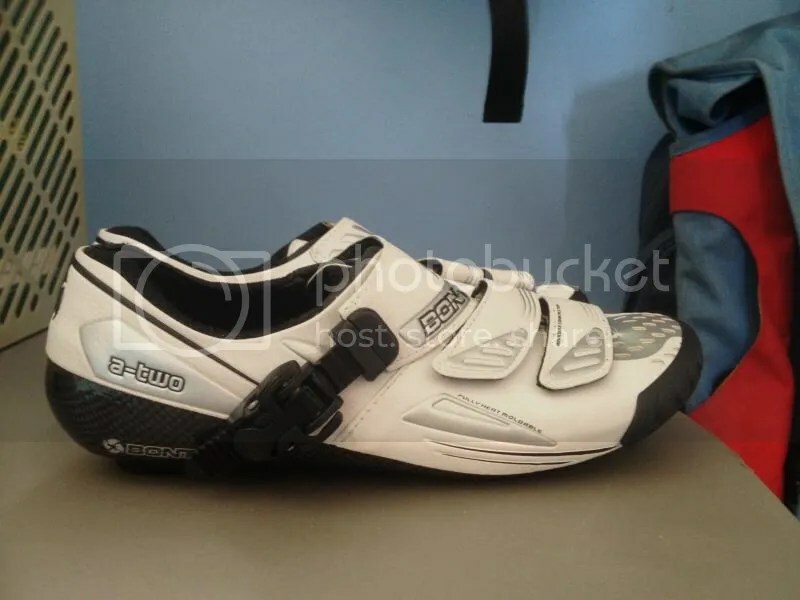 This entry was posted in Bont, Reviews and tagged A Two, Bont Shoes, Cycling Shoes. Bookmark the permalink.